Don’t cha love the feeling of Main Street, U.S.A.? It has a great “coming home” feel to it–like, sure, you’ve been gone a while, but things are exactly where you left them, and now everything’s right with the world! We love the popcorn, the ice cream, and the parlor chairs of Main Street, which is why we’re wild about this Main Street Case, which fits as snugly on our Samsung Galaxys as our Ear Hats do on our noggins. 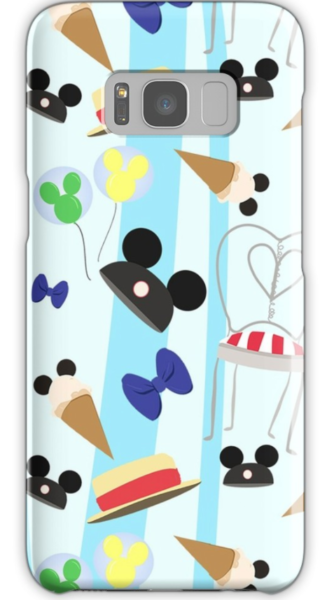 Check out our other Favorite Disney Cell Cases – for iPhones and for Samsungs – in our Disney Accessories Section. Oh that’s so cute! I love that the Casey’s chairs are on it.